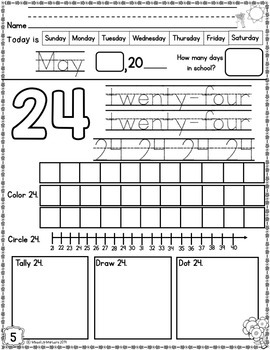 This Kindergarten Morning Work May is a month-long, daily review activity for your classroom. I estimated 23 school days per month. 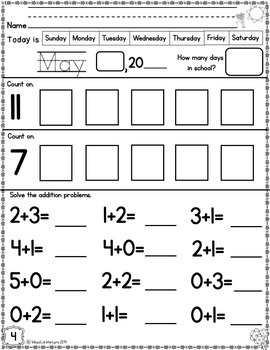 There are 23 pages for each month, one page for each school day of that month. These can be used any time of day and in many different settings. 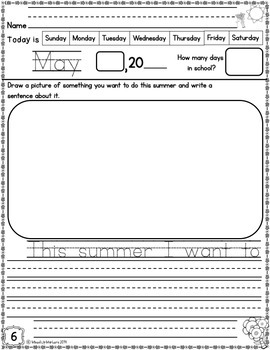 You can edit the date, year, and days in school with a traceable font, or let your students fill it out on their own. Save BIG and buy the BUNDLE!